I use this to teach the way I want writing to be done for the rest of the year. 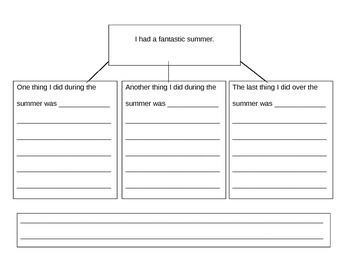 This really gets my students learning how to use a graphic organizer for writing. As the year continues, they will gradually begin doing the graphic organizer completely on their own.